You're here because you want to learn how to grow weed indoors. Check out this tutorial to learn how easy it can be to get started growing marijuana at home! Diagnose your sick plant here! Cannabis deficiencies and other cannabis leaf symptoms can be a headache for any grower. Luckily, we've got the answers to the most common cannabis growing problems. GrowWeedEasy.com teaches you how easy it is to grow weed. Come learn how! Growing weed can be easy, though most “how to grow marijuana” tutorials make things seem like you need a degree in horticulture. The whole process is actually straightforward and surprisingly simple when you know what you need to do! Grow Weed Easy.com will show you how easy it is to grow your own marijuana at home, with as little time and effort as possible. If you want to start growing cannabis indoors for the first time, or if you’re already a pro grower and want to improve your current cannabis growing skill, this website is for you! Sign up for our newsletter (to the right) and get growing tips, tactics, and tutorials delivered to you weekly. Read this guide on how to grow marijuana indoors. Or check out this article to learn what materials you need to get started growing your own marijuana! 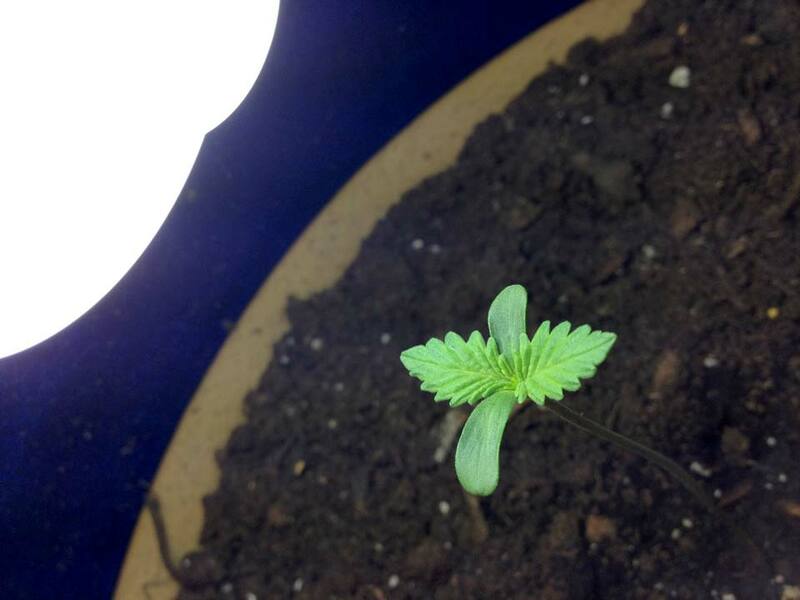 Luckily, it’s really easy to get a cannabis seed to sprout! If you’re considering growing weed, it costs as little as $300 to get started growing or a bit more for a semi-automatic, high-yielding bubbleponics grow system. Read this article to see even more growing styles with different price ranges. Check out our How to Buy Marijuana Seeds Online Guide (with delivery to every state of the USA) to safely get your hands on good genetics. 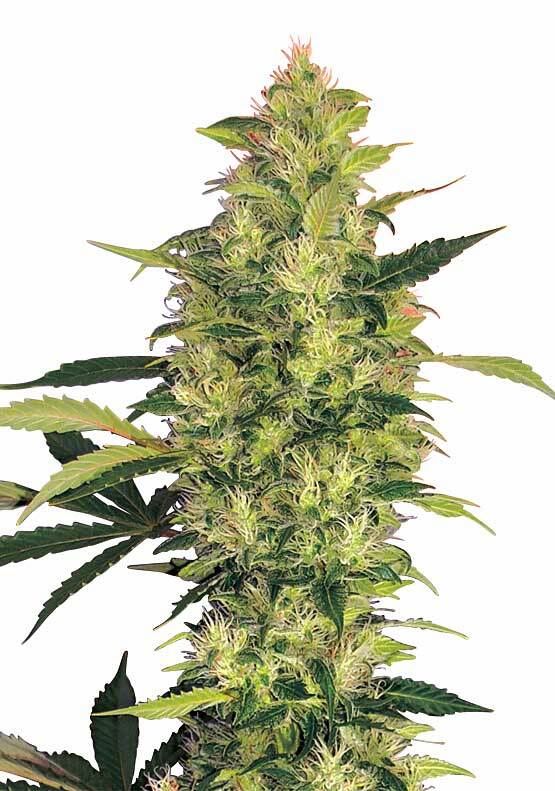 Starting with good seeds lets you choose the looks, smell, and effects of your buds! Learn about the best marijuana beginner strains and how to research and find the right strain. Cannabis buds are generally green, but can also be pink or purple with certain strains. If you’re just growing a few marijuana plants for personal use, it will cost you $20-$100+/month for electricity, depending on what grow lights (electricity) and nutrients you use. On average, I’d say a hobby-size grower might pay about $50/month to grow, but it depends greatly on your setup and local electricity costs! How much will electricity cost each month? LST (Low Stress Training) – Training your plants can easily double your harvest! Lastly, it’s important to remember that the strain has a major effect on yields! Two small cannabis plants can yield several ounces of premium weed! 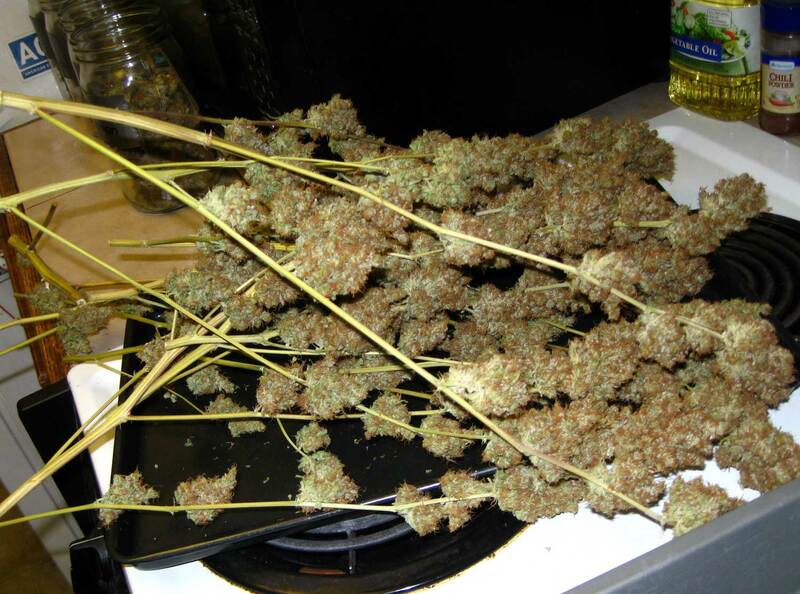 Read guide on growing weed indoors without anyone knowing. Never tell anyone, not even your best friend, that you’re growing. Be on top of preventing smells, and never ever sell cannabis. Breaking one of those 3 principles is how 99% of growers get found out! The most common issue a grower runs into is a pH imbalance. Barring that, your marijuana plants likely either have a nutrient deficiency, heat or light stress, or are being attacked by some sort of marijuana mold, pest or bug. Whether you call it weed, cannabis, sinsemilla, skunk, pot, marijuana, or something else, the plant known as Cannabis Sativa is a hardy weed in the wild and can actually be easy to grow indoors at home when you know what to do. “Medical marijuana” has become a household name. The body of evidence for medical marijuana in the treatment of cancer and other illnesses is growing every day. And for those who need medical marijuana, growing weed indoors is the perfect way to ensure a safe, regular supply of buds, for cheap. 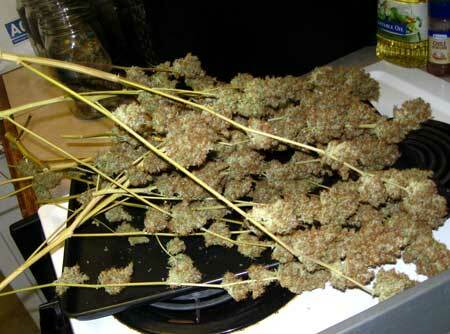 In fact, when you grow weed indoors for personal use, you often end up with way too much. As you probably know, both medical marijuana and recreational cannabis have been decriminalized or legalized in many places around the world and weed is becoming legal in more places every day! Yet there still aren’t many simple indoor “how to grow weed” guides for beginners (even for those who legally grow, such as medical marijuana users and those who live in places where marijuana is legalized for personal use). If so, I know how you feel. It can be hard to weed out all the bad information on the internet and find well-researched, free tips or instructions on how to grow your own cannabis. That’s why Grow Weed Easy.com aims to be a simple online resource that explains from start to finish what you need to do when growing cannabis so you can learn how to grow cannabis with great yields and potent buds, even if you only have a small grow space like a closet or even a computer case! We’ve grown cannabis out of closets and have gotten ounces of buds and you can too. Grow 4-7 oz with a 250W HPS <– Most Recommended Way to Start Growing! Our famous grow guide that teaches you how to grow weed using bubbleponics (hydro). Grow Weed Easy is run by a panel of experienced cannabis growers, including the founders Nebula Haze and Sirius Fourside, who originally teamed together to bring you GrowWeedEasy.com. Due to the demand for more marijuana growing information, we’ve also started an inbox magazine all about how to grow weed, with additional tutorials, tips, and tactics sent to you each week. 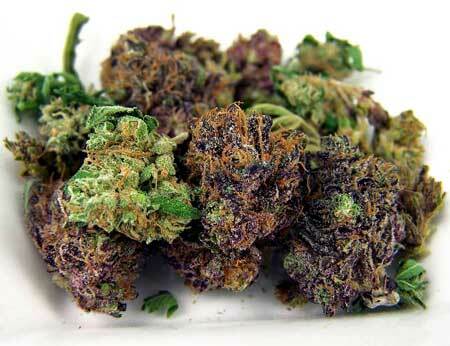 Simply sign up to start getting free expert growing articles delivered to you! All the information available at GrowWeedEasy.com is completely free and we regularly update the site and make new additions. Looking for a growing book? If you are interested in doing a bit of reading or would like to know more about the science behind marijuana hydroponics or horticulture, I strongly recommend viewing our page of Marijuana Grow Book Reviews. We would love to hear about your experiences with growing cannabis. Whether you are a pro grower already or are just starting your first plant, we have learned so much from our readers both beginners and masters! If you have any suggestions, comments, concerns, or just want to ask some questions about your marijuana grow, please contact us!